Over the past decade, the global community has made significant progress in scaling-up HIV treatment and averting mortality in developing countries. Since 2005, there has been a 30% reduction in AIDS-related deaths worldwide. However, despite this progress, the 2012 UNAIDS Global Report suggests that 1.7 million individuals still die every year from AIDS-related illnesses. Some of these illnesses – such as tuberculosis (TB) – are acknowledged as major threats to public health and form a pillar of the global response to HIV. Others, such as cryptococcal meningitis, exact a significant toll on people living with HIV but are severely neglected and underfunded. Cryptococcal meningitis is an opportunistic infection caused by the fungus Cryptococcus neoformans and is responsible for 20 to 25% of HIV-related deaths in developing countries annually, particularly among those with a CD4 count <100 cell/µL. Cryptococcus neoformans is found in soil throughout the world and is easily acquired through the inhalation of fungal spores. If patients with latent cryptococcal infection become immuno-compromised, they may develop a clinical illness that often manifests as meningitis, the most common presentation of cryptococcal infection in those with HIV/AIDS. Despite global efforts to increase antiretroviral therapy (ART) coverage, cryptococcal disease burden remains high due to delayed presentation of advanced disease and poor access to adequate diagnostics and antifungal treatments. Much of this mortality is preventable with timely diagnosis and treatment. At present, however, diagnosis happens too late, or not at all, and treatment is often sub-standard using therapies that are known to have limited efficacy. Asymptomatic patients with sub-clinical disease can be successfully treated with fluconazole monotherapy (single-drug treatment), but symptomatic patients with cryptococcal meningitis require combination treatment using amphotericin B, flucytosine (5-FC) and fluconazole. All of these drugs are off-patent. In 2011, the World Health Organization (WHO) released Rapid Advice Guidelines for the diagnosis, prevention and treatment of cryptococcal disease. The guidelines include best practices for diagnosis and treatment and highlight the importance of cryptococcal meningitis prevention through screening and pre-emptive treatment. Historically, lack of access to reliable rapid diagnostics has been a major barrier to early diagnosis of cryptococcal disease. Fortunately, a new rapid lateral flow assay (LFA) has been developed by a US-based manufacturer to detect the cryptococcal antigen (CrAg). The CrAg LFA was approved by the US Food and Drug Administration (FDA) in 2011 and is a highly sensitive dipstick test that can be stored at room temperature and provide results in 10 minutes. The LFA has been cleared by the US FDA for serum and cerebrospinal fluid (CSF), and CE-marked for serum, plasma and CSF specimens. 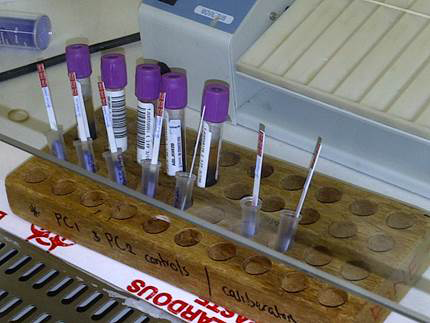 Urine and whole blood specimens are currently undergoing validation studies. Dr. Nelesh Govender, a pathologist at the National Institute for Communicable Diseases (NICD), explains that South Africa is one of the first African countries to initiate a CrAg screening programme. Govender and the NICD have collected national patient data beginning in 2002 on the incidence of cryptococcal disease in South Africa. Even though one in three patients with the disease still die despite receiving amphotericin B treatment, 2011 data shows a marked decline in the disease’s incidence given rising ART coverage. The need to address this high mortality (paired with the issuance of the 2011 WHO Rapid Advice Guidelines on cryptococcal disease) has catalysed new initiatives in South Africa dedicated to improving the timely screening and treatment of cryptococcal disease. Part of South Africa’s success in expanding access to the CrAg screening through the new rapid LFA test lies in South Africa’s capitalisation of pre-existing, well-functioning laboratory infrastructure. The LFA test has been designed as a reflexive test for adults with a CD4 count <100 cells/µL. Therefore, South Africa has first decided to direct its scale-up activities to the 60 public-sector National Health Laboratory Service (NHLS) sites that already have the capacity and resources to perform CD4 tests. Since 2012, when the CrAg screening became incorporated into the country’s National Strategic Plan, over 10,000 patients have been screened for CrAg in over 100 different health facilities in Gauteng Province, 4% of whom screened positive.Despite these successes in improving CrAg screening through a reflexive test model, Govender identifies several challenges to the implementation processes that must be addressed in order to improve early screening and diagnosis of the disease and reduce mortality rates. For one, Govender explains national scale-up has been slowed in some South African provinces simply because clinical guidelines and WHO recommendations have not been internalised or adopted as formal policy. “We’ve continued to engage the government to address this,” Govender says. Secondly, since the test has been designed to be performed reflexively in conjunction with a CD4 test, ensuring that healthcare workers understand the programme’s rationale and are adequately trained on standard treatment algorithms has been an important task for NHLS, NICD and international partners. Govender identifies healthcare workforce development as a key issue for laboratory specialists considering initiating a CrAg screening programme in their countries. Lastly, although the LFA test has been used reflexively to test patients at NHLS facilities with CD4 counts <100 cells/µL, the test is at best a point-of-care (POC), low-throughput technology, ill-suited for workflows at high-throughput, automated CD4 testing sites. As the screening programme expands beyond Gauteng Province, NHLS may consider “a tiered testing model to reduce costs and improve turn-around times,” Govender says. Pursuing a “tiered” approach would mean scaling-up the LFA test at laboratories with low-volume testing and the enzyme immunoassay (EIA) test at laboratories with medium to high volume testing. 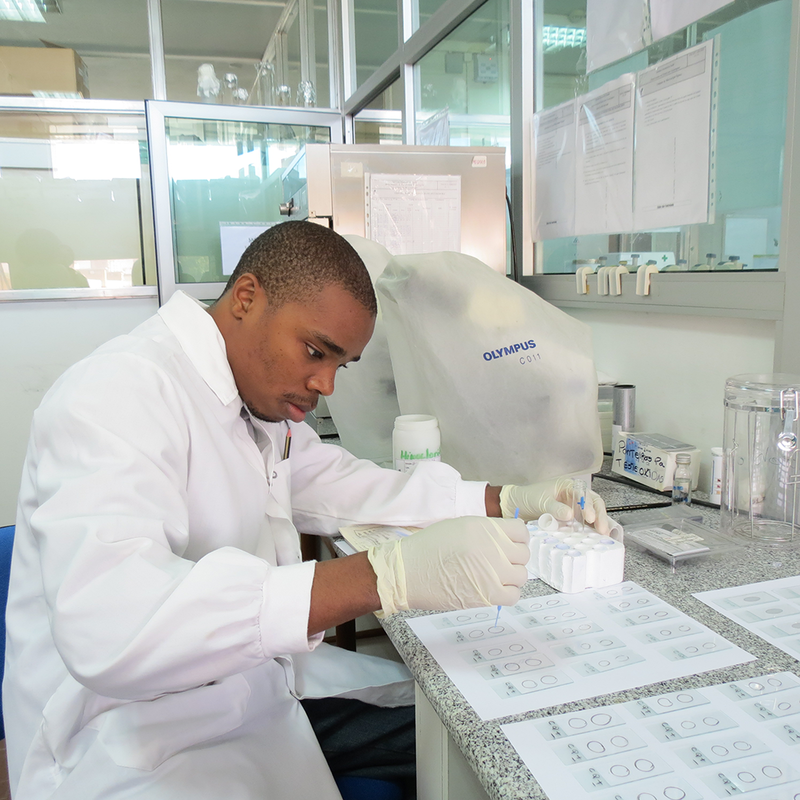 Motivated by similar concerns about the high burden of cryptococcal disease and high AIDS-related mortality rates, Mozambique has also recently worked to fill gaps in the cryptococcal testing space. Mozambique has initiated processes for a national CrAg screening programme using the LFA and, like South Africa, will focus its initial efforts on patients with CD4 counts ‘<‘100 cells/µL. Although products (or test kits) have not yet been procured in Mozambique, Dr. Eduardo Samo Gudo, Head of Reference Laboratory Services, Mozambique National Institute of Health, cites key successes and accomplishments in preparing for the programme’s launch. The Mozambican Ministry of Health (MoH) has been engaged in the early implementation phases of the CrAg screening programme, a tell-tale sign of country ownership that is crucial for long-term project sustainability. Specifically, the MoH has been instrumental in developing and publishing standardised implementation guidelines for CrAg screening, conducting assessment studies on health facilities eligible for test scale-up and formulating a strategic selection plan for where to target scale-up. A gradual phase-in approach will be followed, in which a select number of facilities will produce patient data and evidence that demonstrates the effectiveness of CrAg screening and builds consensus for a larger, nationwide rollout. Mozambique’s screening programme, much like in South Africa, has great potential to save lives through pre-emptive treatment and meningitis prevention. Inevitably, however, several challenges in programme implementation, identified by Gudo, must be addressed. There are, Gudo says, “training needs for clinicians on proper diagnosis and management of cryptococcal infections.” In addition to trainings and workforce development initiatives, the effectiveness of the programme will also depend upon the abilities of laboratories to ensure effective patient flow. Indeed, since the LFA test will be performed reflexively after patients have been tested for a CD4 count ‘<‘100 cells/µL, there is a critical need to have decreased turn-around times for CD4 tests to avoid high rates of loss to follow up between the CD4 test and the CrAg screening. Lastly, Gudo identifies supply chain management as a key area requiring close consideration. There must be engagement with the private sector and suppliers to ensure the regular and timely access to tests and treatment for symptomatic and asymptomatic patients, especially in rural, hard-to-reach areas. Addressing such challenges is critical to the further reduction of AIDS-related illnesses, such as cryptococcal disease. The sustainable implementation of programmes for diagnosing, preventing and treating cryptococcal disease would support the progress achieved in scaling-up HIV treatment programmes and decreasing mortality rates in developing countries.